The long-awaited arrival of WCW Thunder on the WWE Network is finally almost here! The B-Show during the latter part of WCW’s Nitro era, Thunder has long been required for completionists hoping to binge-watch wrestling like it’s 1999 (though we’re still waiting on WCW Saturday Night as well WWE Shotgun Saturday Night and Sunday Night Heat to complete the era’s WWE and WCW television). 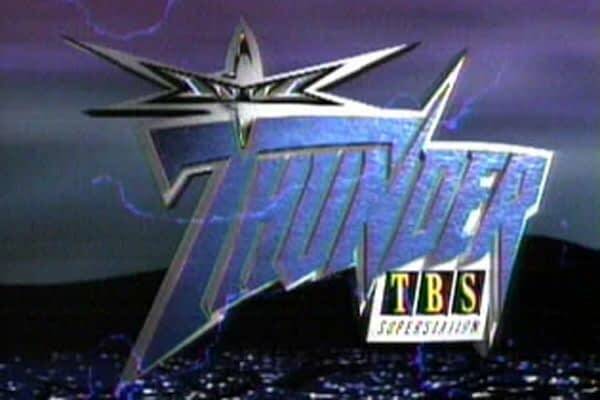 WCW Thunder’s arrival on the WWE Network has been rumored for some time but seemed to keep getting delayed (or the rumors were wrong), possibly due to a lawsuit over Network royalties which eventually fizzled. However, according to WWE Network News, which is always right about this stuff, the show will be added on Monday, March 19th! Now, WWE needs to hurry up and add the other Attitude Era shows to the network, and then they need to get on adding WWE Superstars of Wrestling and Wrestling Challenge so that we can all binge-watch the WWE pre-Raw era the way it was meant to be seen: with lots of jobber squash matches.